Cloud computing is becoming a buzz word these days. Although cloud computing got some bad press in the last month because of the Amazon web service outage without doubt it is a fast growing industry. Lots of start-up and small business are taking advantage of them and lowering their costs. 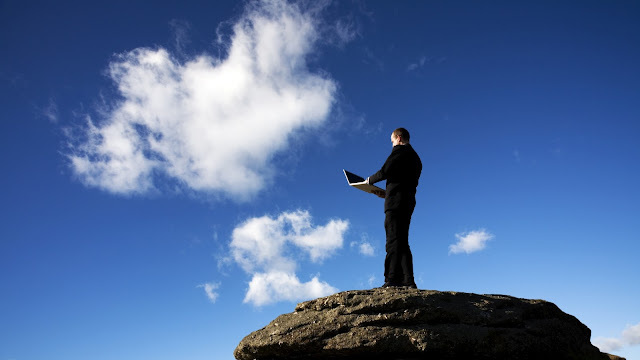 Below are few ways how cloud computing can help lower costs for businesses. With virtual machines available in the cloud, you don’t have to pay huge sums buying computer equipment. Buying is only the start; you need to maintain them properly as well. All this could add up to a hefty bill. With most virtual servers, you only need to pay a small monthly bill which is far more affordable than buying all the equipment. Additionally you don’t have to worry about maintenance and system crashing during unearthly hours in the morning. This is one aspect of cloud computing that has helped business grow rapidly without investing heavily on expensive software. Because the software is hosted on the cloud software vendors don’t have to worry about packaging, download tracking, creating new builds and testing them etc. This in turn has enabled them to offer these products for very low prices. Tech giants like Google started this a long time ago with Google business tools but it didn’t cover the whole spectrum of software. But now almost any kind of software is available online for very affordable prices. They are most monthly subscription services so you can pay as you go as well. Another big advantage of cloud-based applications is you can access them from anywhere. With companies outsourcing their operations and employees preferring to work from home the ability to access software and infrastructure from anywhere in the world has become critical. With web based application, it’s just a matter of logging into the system. You can never do that with traditional downloadable desktop software. Another cool feature that is helping become companies productive is real-time collaboration. This enables effective meetings and less time taken for decision-making. Real-time collaboration simply means a group of people can work on one shared document in see each other changes instantly. No need to send the document back and forth using emails etc. Mentioned above are some advantages business owners can get by embracing web-based applications. There are plenty more business specific advantages as well. If you haven’t already given them a try now is a good time to explore your options.